Home > All sports > cycling > Cycling – get fit and save the planet! Cycling – get fit and save the planet! In the past few years cycling has seen a massive increase in participation, what cycling enthusiasts are calling a ‘renaissance’. 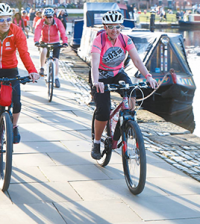 The latest Sport England Active People Survey shows that 161,000 more people are cycling than six months before, and that was before the London Games and 2012 Tour de France and the popularity of our cycling heroes: Bradley Wiggins, Victoria Pendleton, Sir Chris Hoy, and Laura Trott. In particular, more women are cycling than ever before, what the survey deems ‘regular cyclists’, not just fair-weather cyclists! This is in part due to the government initiatives, such as the Boris Bikes around London, and the improved cycle routes around the UK. Just last month the Transport Minister, Norman Baker MP, announced an additional £20 million funding for cycling in England, specifically allocated to improve the infrastructure for cycling and road safety. Alongside the improvements in cycle routes and road safety and cycle awareness campaigns, increased numbers in regular cyclists will reduce traffic congestion and lower pollution levels. And with physical inactivity having a terrible impact on the nation’s health, cycling offers us an easy way to get fit and keep healthy. 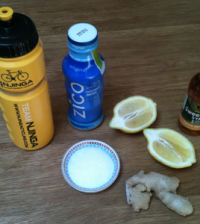 What I like to call my ‘Get Fit/Saving the Planet’ endeavour! (Like a superhero). 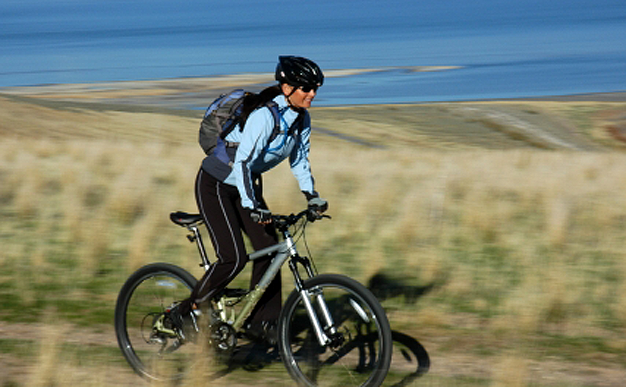 The benefits of hopping on our bikes are many, and it is an easy and convenient mode of transport. But, there is also a simple joy in riding a bike, a throw-back perhaps to our youth, when we would spend hours riding our BMX’s around the neighbourhood with friends, feeling the freedom of the wind in our hair. Now perhaps the emphasis is less on the fun and more on the efficiency and safety of cycling. But feeling comfortable cycling on the roads in winter will mean you can enjoy the ride far more! Here are some tips for winter cycling. Layer up. Wear waterproof layers when cycling in winter, as this will keep your body warm against the cold and wind, and specifically wear a pair of good gloves, as your hands will be the first to feel the cold. High-visibility outer clothing with reflective panels are a must, as you want to make sure you are seen on the road! Mud guards. BMX World Champion cyclist Shanaze Reade recommends investing in mud guards for your tyres, as this will help stop the mud, rain and water puddles from splashing your clothes and legs. Though there is something strangely satisfying about cycling through a mud puddle, perhaps this is not the best before work! Wear a helmet. This really goes without saying, and helmet-hair is just one of those things we’ve got to deal with, but wearing a helmet is non-negotiable. Also, invest in a bell for your bike. You can ring the bell to warn people of your approach, and make other road users aware of your presence. Or you can just use it as hooter, and ‘ring’ at people when they do silly things! We may not quite have the cycling culture of the Dutch yet, but we can still enjoy life on two wheels – on yer bike! 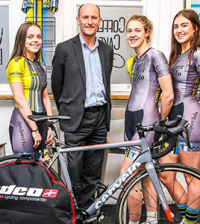 And for the cycling devotees, you can attend the London Bike Show at the ExCel from 17-20th January 2013, to see the latest in bikes, gear and training! For more information visit www.thelondonbikeshow.co.uk/.